The police minister believes progress is being made, with a second-in-command syndicate kingpin and 13 suspects arrested in less than 24 hours. The South African Banking Risk Information Centre (Sabric) today said the number of cash-in-transit heists for the first six months of 2018 had seen a marked increased compared to 2017, with 159 robberies robberies reported in the first two quarters of this year. Sabric’s Kevin Twiname said several robberies took place when cash-in-transit vehicles were doing pick ups and drop offs. Of the 71 attacks that took place in transit, 49 resulted in the write-off of specialised vehicles that cost between R1.1 million and R1.4 million each. 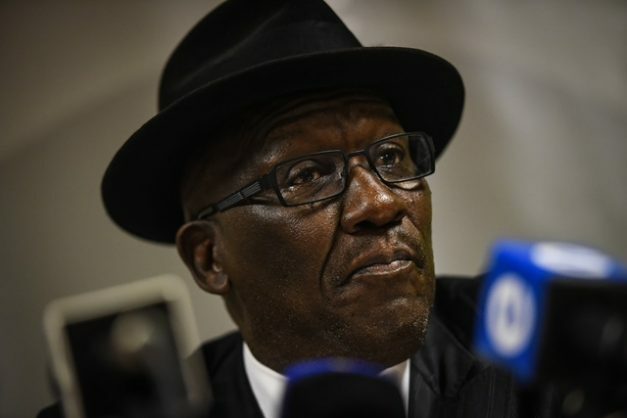 Minister of police Bheki Cele said some weapons which have been recovered during the cash-in-transit heists belong to police and the army. “There are SAPS members who have been arrested for cash-in-transit robberies. We won’t sit here and deny their involvement,” Cele said. He said foreign nationals have also been arrested for their involvement in the heists. Cele was speaking at a media briefing today addressing the recent increase in cash-in-transit heists, together with Sabric and the Federation of Unions of South Africa. The minister said he believed police were making progress in apprehending suspects involved in the heists. Cele said they have raised the issue of bail for suspects with the minister of justice as some of the criminals continue with their criminal activity after being released. Cele said cash heists, gangsterism, political killings, taxi violence, kidnappings and the killing of women and children killings would be prioritised.